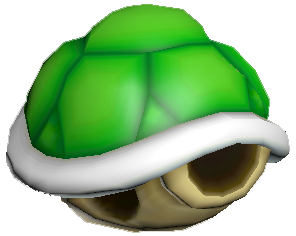 This is a gallery of images featuring Green Shells. Triple Green Shell from Mario Kart: Double Dash!! Two Green Shells from Mario Kart: Double Dash!! This page was last edited on February 7, 2019, at 08:22.